This is Streambot Oval FM Transmitter from Mpow. It is, by far, the best FM transmitter I ever have. It is very simple to use. Plug in your music device with the aux cable, connect the other end to the cigarette lighter socket, and then configure your FM frequency. It takes only a few second to set up, and once you set your radio channel exact the same as the FM transmitter, your music will come right up. Unlike the previous transmitter I had, this one works very well. The sound quality is quite impressive, no buzz noise in the background or anything. It seems like my ipod is plugged in directly to aux port of the car. There is no interference either, so it won’t turn you down by disconnecting or randomly mixing your music with other radio channel. You can enjoy your music as much as you are listening with your headphone, loud and clear. Also, this guy comes with the usb port, so you can now charge your music device while on the go. I remember the time when my car doesn’t offer aux port and mp3 player, I had to carry 5-6 discs on my car. And I got bored very easily with them, and it was also a struggle to swap the disc while on the road. It was totally a relieved when I got my first FM transmitter, however it didn’t work well. The quality was really bad that I would rather to listen back to my CD. 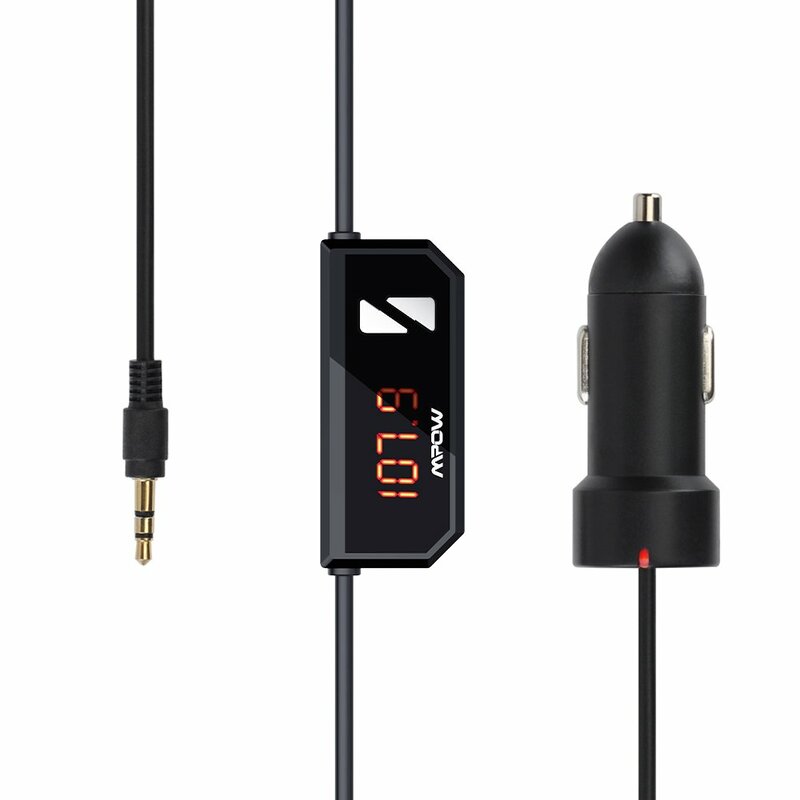 I highly recommend this FM transmitter to anyone who are suffering the same experience as I did in the past. With this, you can listen to your music flawlessly without losing sound quality.